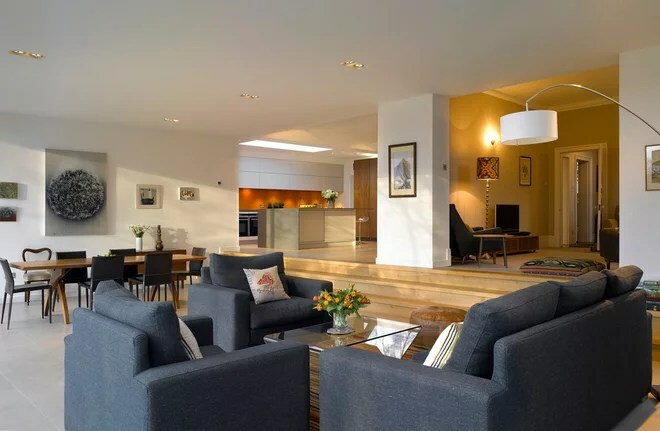 Open-plan living has been one of the biggest trends in our homes in recent decades. Indeed, knocking down walls can create a sense of space, light, sociability and fluidity that many of us love. 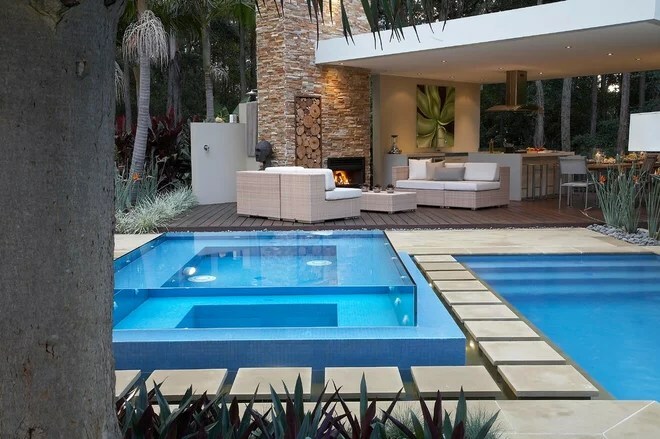 But open-plan layouts can reduce privacy and quiet spots, as well as useful walls against which to place furniture. You may also struggle to ignore that pile of dishes you see out of the corner of your eye during TV binges on the sofa (at least with a wall between you and the kitchen, you can pretend it isn’t there). Welcome, then, to a slow, steady move toward a compromise: broken-plan living. But what exactly is it? Broken-plan means keeping the things you love about open-plan, but also letting your rooms retain an element of privacy and specific use. By dividing your overall space more subtly — using half walls, smart shelving, split levels, internal windows and other clever tricks — and creating breakout zones for privacy and relaxing, it’s perfectly possible to hold on to an appealing sense of light and space, but also to escape distraction from the loved ones you live with (and the undone cleaning) when the mood takes you. One constant conundrum with non-open-plan living is how to preserve that lovely sense of flowing light. If you’re not careful, once you introduce walls and closed doors, you can be left with a series of dark, too-small rooms. Broken-plan living offers a compromise. 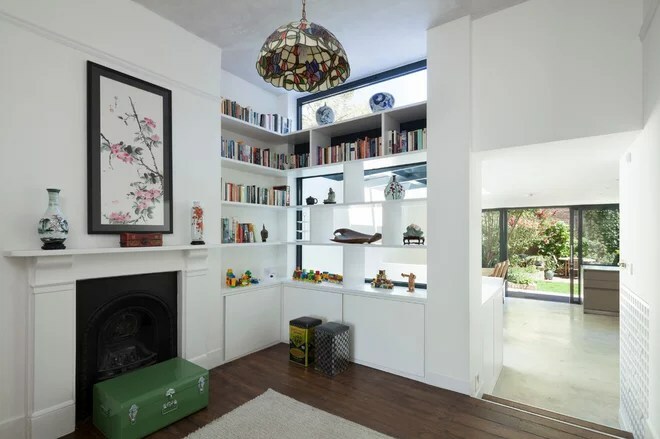 In this space, an open shelving unit allows light to filter through and helps to retain a sense of connectivity and flow between the adjacent rooms. An extra-wide door opening similarly adds to the broken-plan design. Another way to boost light is to install internal windows. 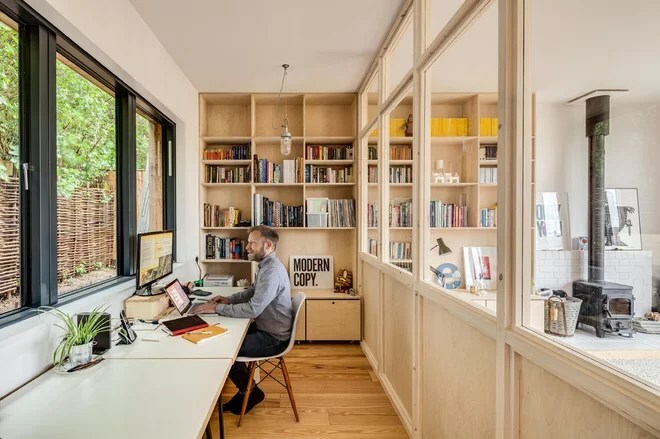 This is especially appropriate for a home office, such as the one in this modern home, since it provides quietness without cutting you off entirely from what’s going on in the rest of the living area. 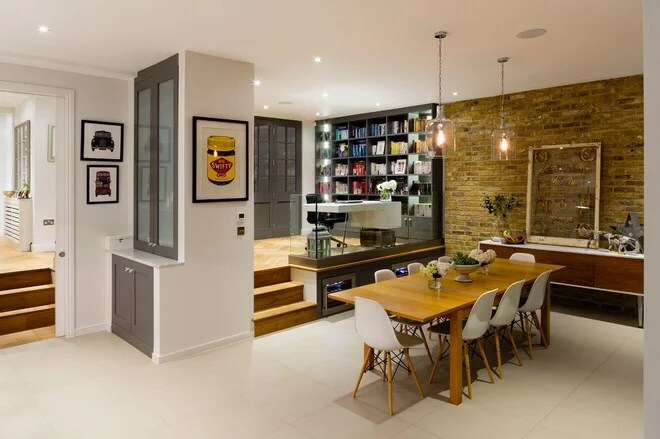 If going radically open-plan means getting rid of narrow doorways and walls altogether, in a broken-plan scheme, a wide opening can be an effective compromise. 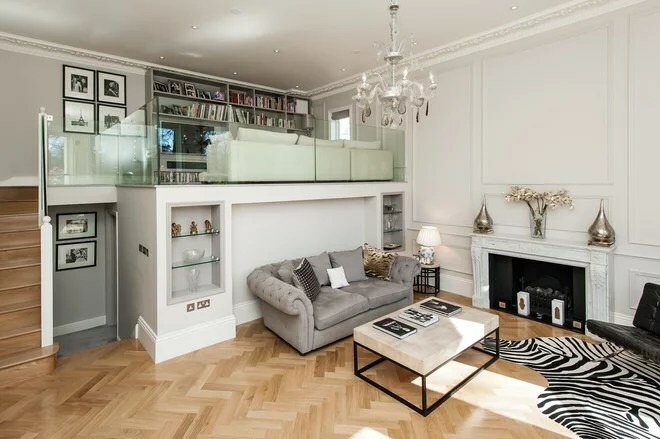 This impressive space makes use of different floor levels and different ceiling heights, which psychologically helps to increase the distance between separate zones designed for different functions. 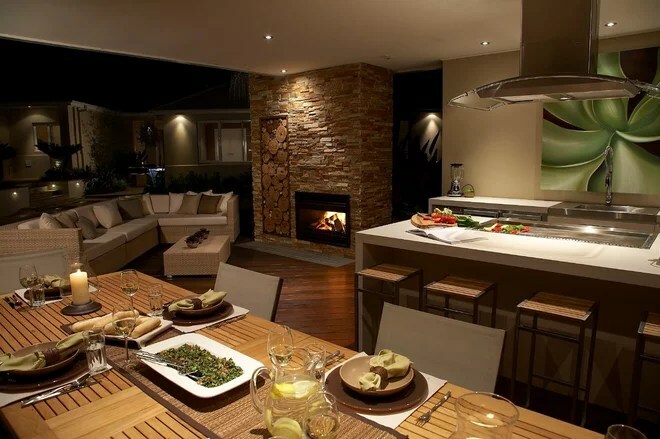 A large, all-in-one downstairs room, encompassing cooking, dining and living zones, has become a popular layout in many homes. 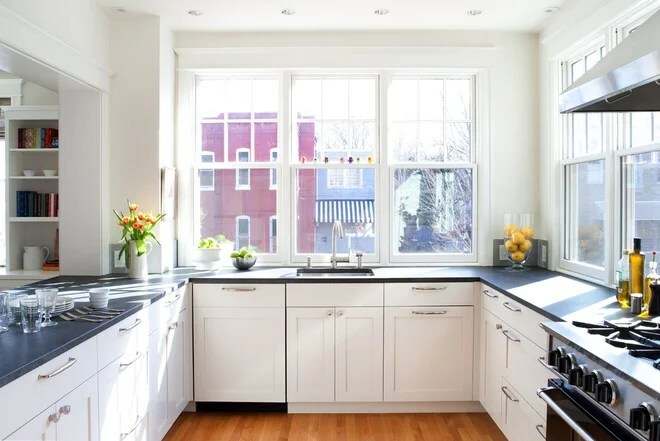 But while the result can look spacious, it may mean the living spaces never feel truly relaxing, because they’re so connected to the bustle of the kitchen. However, small tricks, such as having two or three steps between areas, can be all it takes to provide that crucial mental and physical divide. 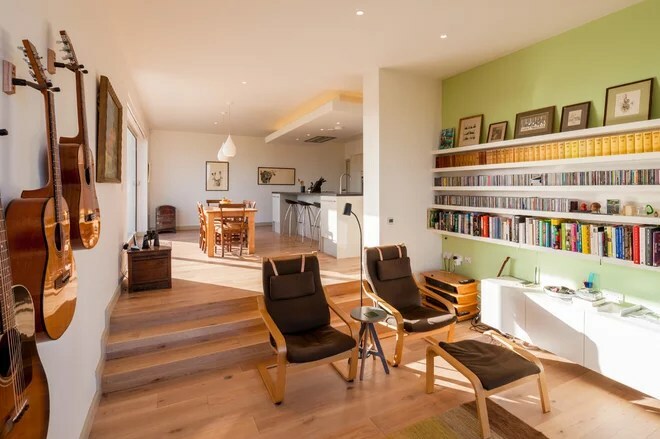 In this open-plan space, retaining a slab of wall on one side of the wide bookcase also subtly helps the living area to feel more self-contained. 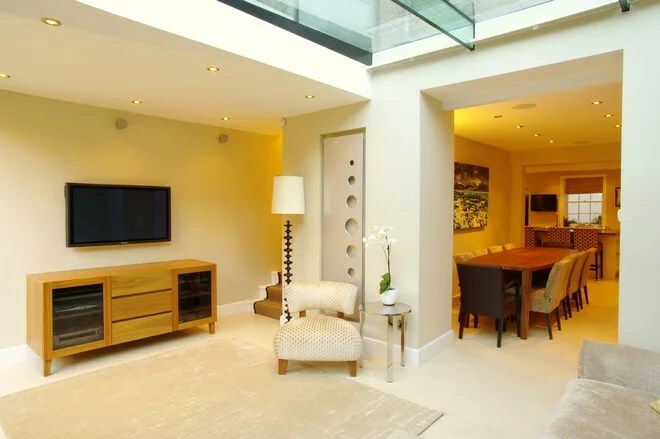 This is another chic example of a split level helping to divide a dining room and living area. Here, an unusual balustrade also helps to keep things separate, along with different types of flooring and shades of wallcovering. 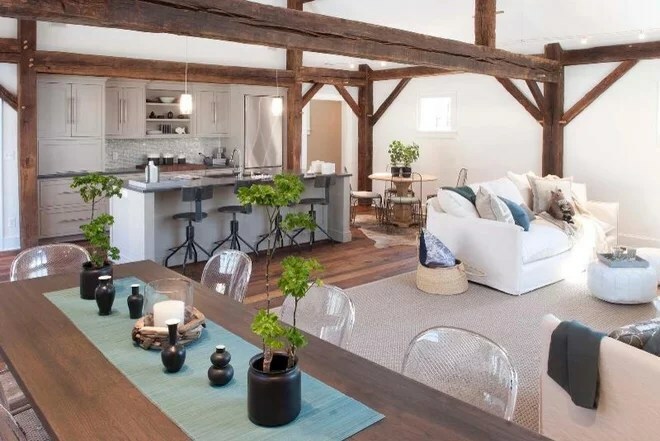 If you have the room height, and an architect or a builder to help you plan properly, inserting a loft can be a smart way to fit another living area into what could otherwise be dead space. 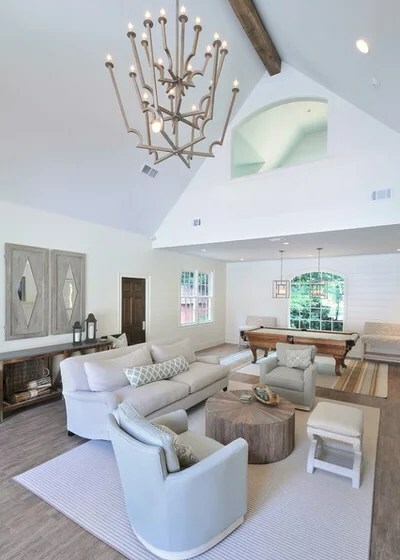 In this abode, the lower-level lounging area is elegant and more formal, while the narrow upper-level seating area is reserved for watching TV and storing books and DVDs. The glass balustrade helps to create a flow between the two distinct areas and keeps the upper level as light as possible. This home study is separated from the main living area by three short steps and a half-height glass wall. These create a clear boundary that stops spillover between one function and another. Having different textures — the exposed brick wall, in this case — and different flooring (wood versus tiles) further adds to the demarcation. Before planning your broken-plan space, think about what you miss in your current home and what works where; not everyone wants a study downstairs, for example. 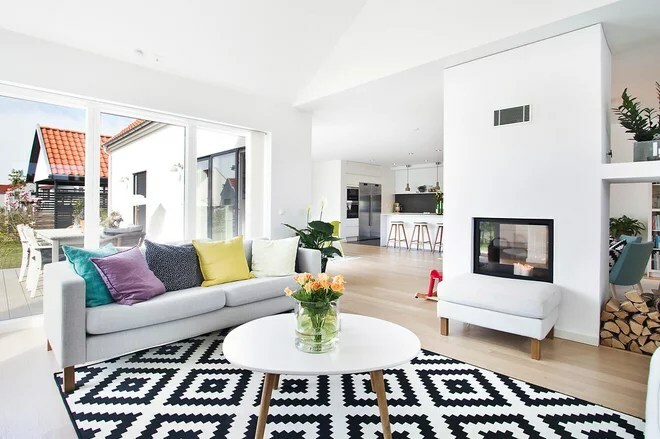 Many of us hanker after more space in our homes but, ironically, one problem with larger open-plan living spaces is that they can end up feeling too big — and consequently not always cozy. Dividing a large room into smaller lounging zones could be an option if this is your issue. 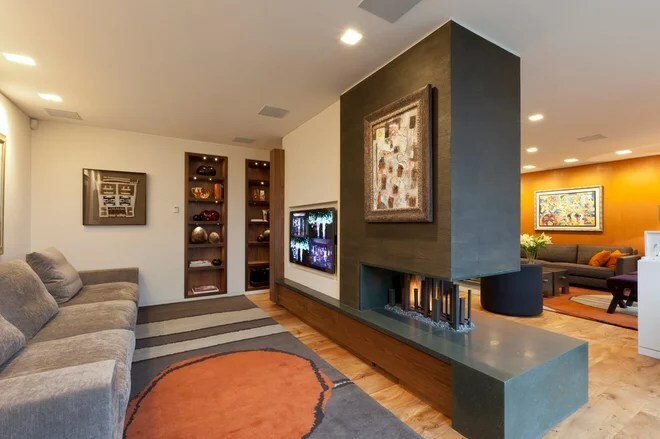 Here, a well-placed TV and fireplace wall does the trick. 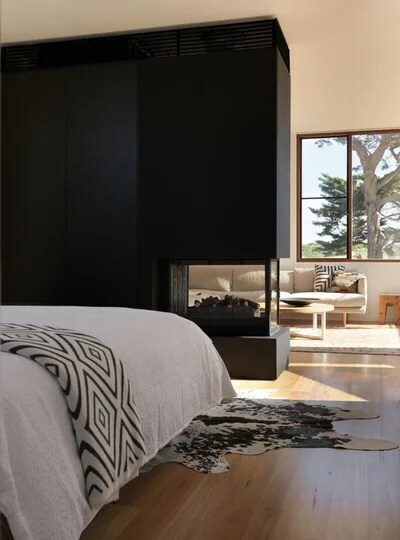 If you’re lucky enough to have a spacious bedroom, a broken-plan design can help you retain a separate area for lounging, studying or even crafting or doing other hobbies. It’s also a good potential trick for compact studio flats, where the sleeping and living spaces are one. 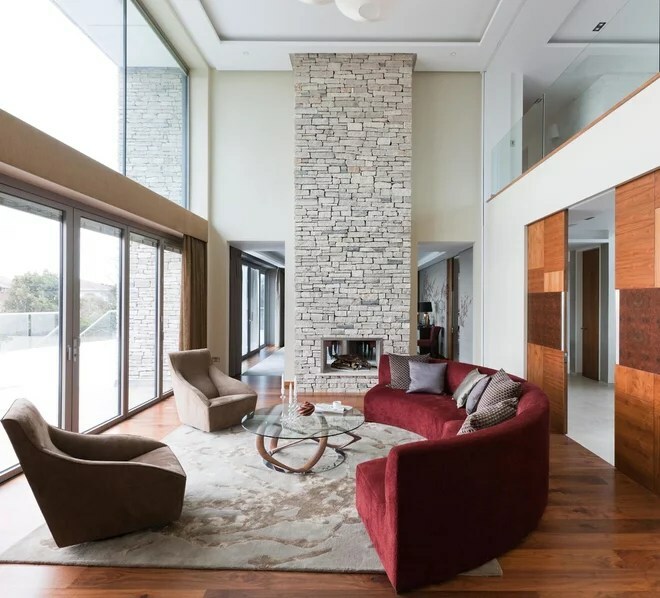 Here, a storage wall complete with integrated fireplace shields the living area, but the light from the large windows and the lovely view can still be appreciated. 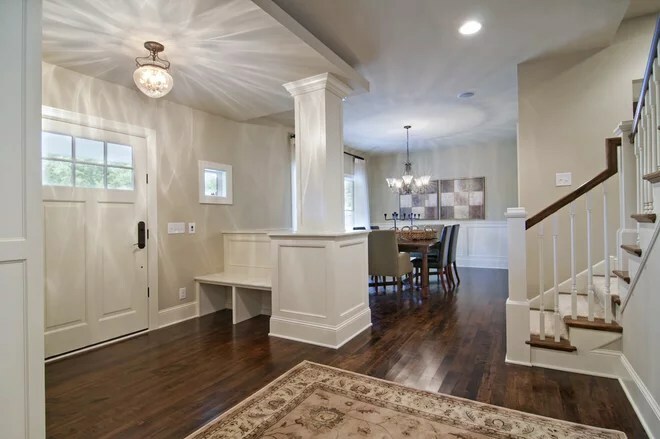 It might seem a bit old-school, but a half wall between a dining area and a kitchen creates a visual block from the chaos of cooking when you’re enjoying a meal with family or guests. It also means you can keep the conversation going, rather than feeling as if you’re marooned in another room while you cook and they relax (or vice versa). Sliding doors give the residents of this house control over the room’s openness. 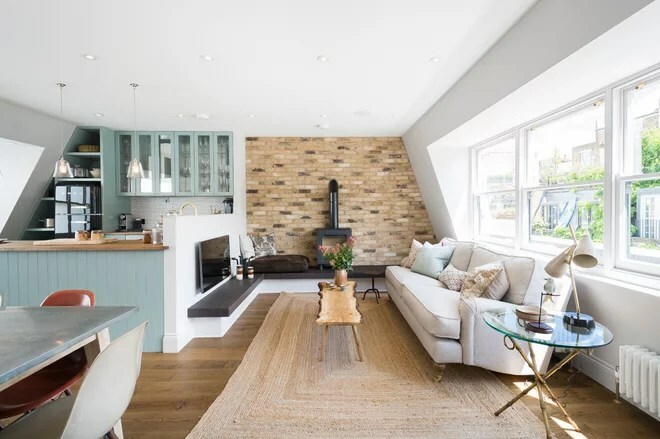 The tall chimney effectively interrupts the long living space and helps each room retain a sense of privacy, while simultaneously allowing a sneaky view through either side. New homes are getting bigger. The size of the average American home built in 2013 was 2,600 square feet, which is bigger than ever, according to the U.S. Census Bureau. While it can be nice to have such a spacious dwelling, many of us live in much older homes, built early in the previous century, with smaller floor plans that reflect the routines of a different era. Many people are continuing to flock to urban environments, too, where living spaces are generally smaller. So how do you make a smaller home feel bigger? If you have limited space, consider these design solutions to improve the livability of your home. Fake a foyer. Does your front door open right into the living room? Tired of seeing the explosion of coats, shoes and backpacks from your spot on the couch? You can still create the feel of a foyer by introducing some space-defining elements. The partial-height wall, oversize post and bench pictured here keep the entryway from spilling into the dining area beyond. 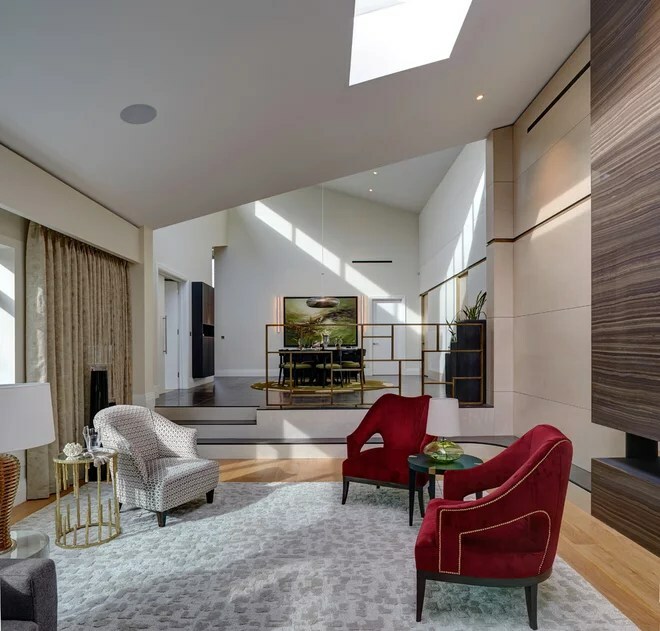 The lowered ceiling and decorative light further define the space within the larger room. Create movable walls. 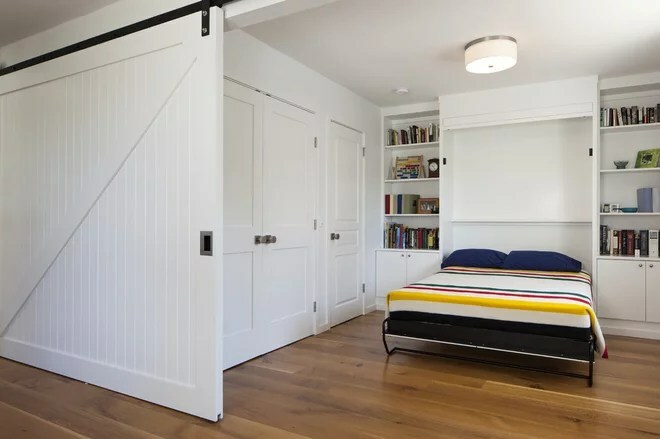 Full-height sliding doors can be a great way to create separate, flexible spaces for sleeping and living. This strategy can be particularly useful for small alcoves off larger rooms. 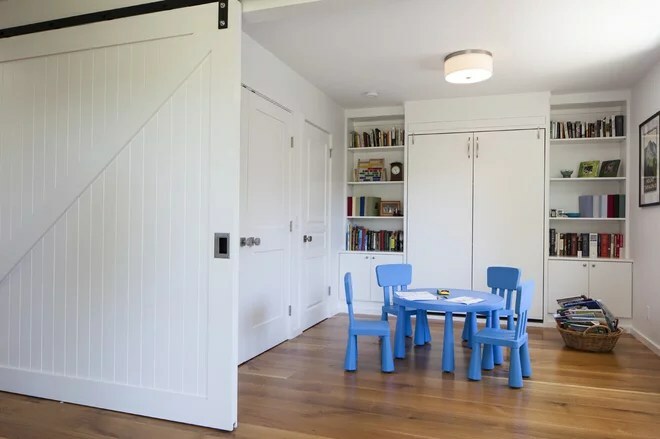 In this house an open playroom for the kids can be quickly converted to a guest bedroom, thanks to a sliding barn-style door and a pull-down bed. Large sliding doors can be very easy to move, but they can also be very heavy! The doors typically hang from a track that needs to be securely attached to a wall or ceiling. You’ll need to provide a concealed guide at the floor to prevent the door from swinging out at the base. Consider a Juliet balcony. 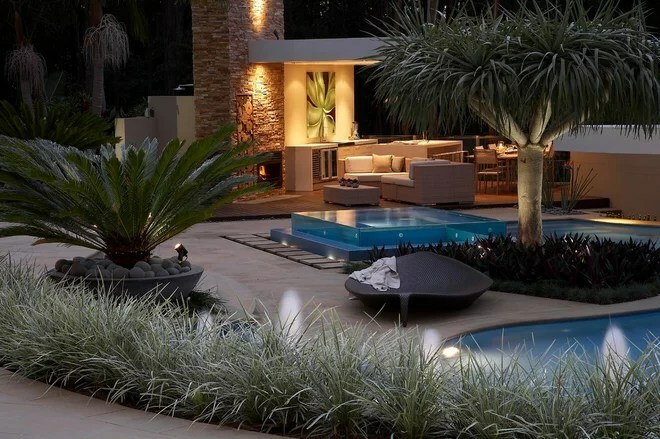 In urban environments few things are valued more than outdoor space — no matter how small it is. However, proximity to the property line or a budget limitation might restrict your ability to build an outdoor balcony or deck. 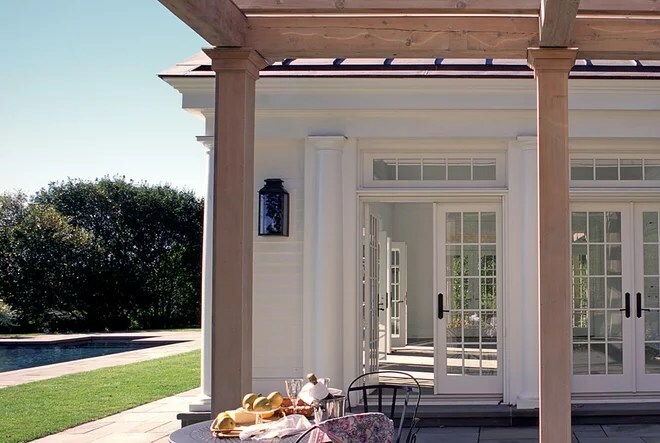 A large sliding door or in-swing patio door with a small railing on the face of the building can create a micro outdoor space, providing a breath of fresh air and a connection to the outdoors. 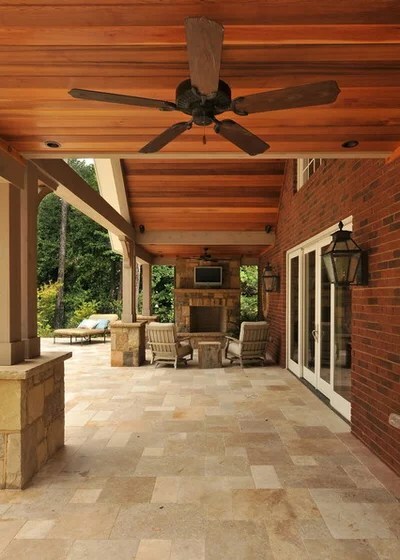 This can be particularly effective on an upper story, where the addition of an actual deck may be a complicated and expensive structural endeavor. The railing for a Juliet balcony needs to be attached to the wall to meet building code requirements and let you safely enjoy the view from up close. And as with any new door or window opening, you will want to consider proper weather sealing to keep the outdoors where it belongs. Just one bathroom? Add another door. 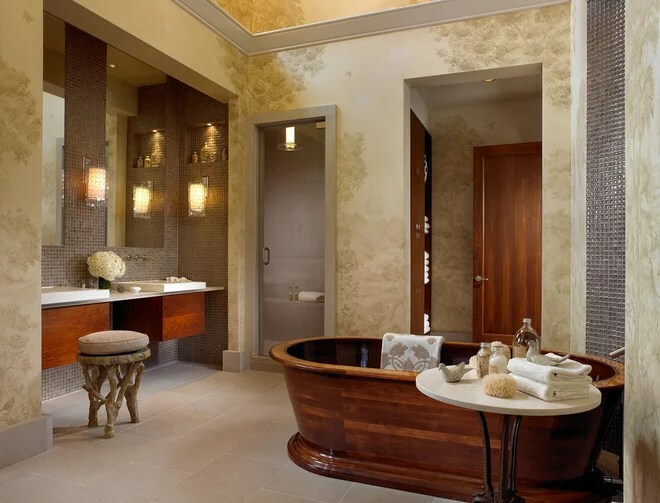 Only one bathroom is a common challenge in older houses. 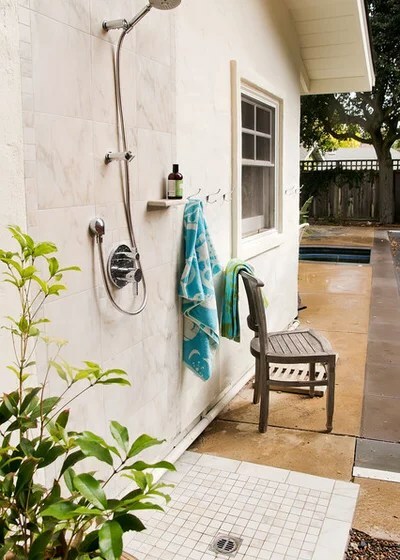 Can you still have a master bathroom if it’s the only bathroom in the house? Or maybe the bathroom can be reached only through your bedroom. 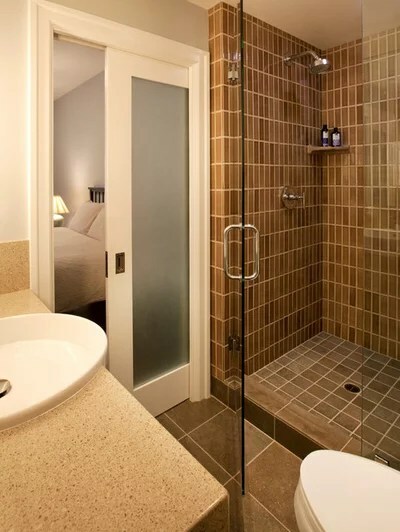 In this project adding a door between the bedroom and the reconfigured bathroom created the functionality of a master suite while allowing access from the hall. When laying out multiple doors in a small bathroom, their locations need to be planned carefully so the doors don’t bang into each other. Pocket doors may be useful if space is tight. Before making new openings in existing walls, consult a building professional to help you evaluate whether the wall is load bearing and if structural improvements will be needed. Use skylights to improve headroom. A stairway with limited headroom can be very uncomfortable to use and might discourage you from making the most of the rooms on an upper level. Sometimes this low clearance is an issue only for a small area at the top landing. 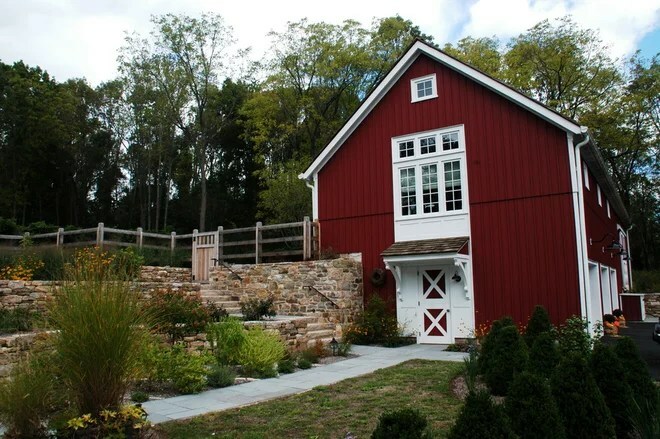 Raising the roofline or adding a dormer can be very expensive solutions for such a small area. 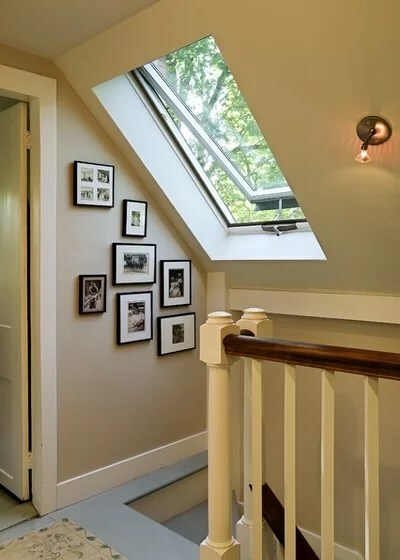 But a well-placed skylight can be used to raise the ceiling height where it’s needed most. 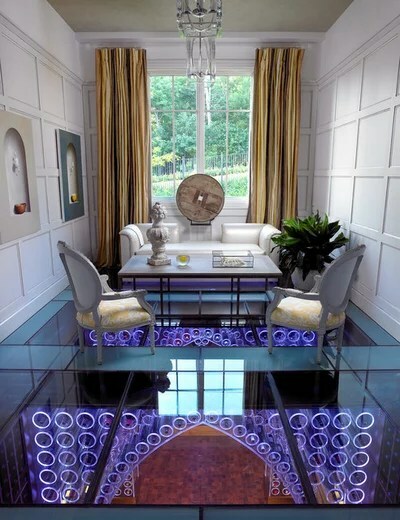 It also brightens the room and provides the opportunity for ventilation. 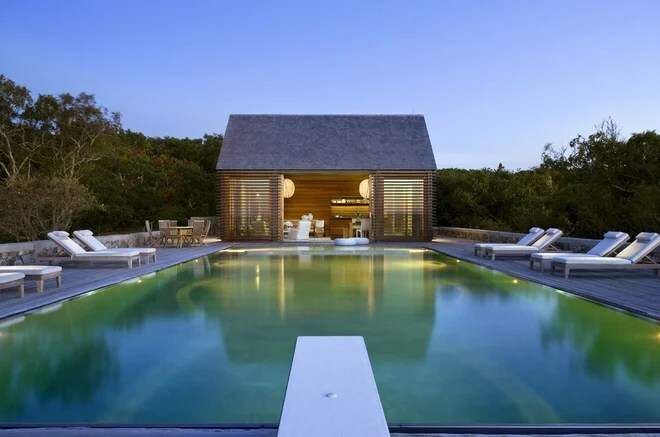 An architect or engineer can help you evaluate how to add an opening in the roof structure. You will want to consult your local building code for the minimum headroom required at the stair as well. Go easy on the uppers. Wall-hung cabinets above the counter are one of the most common features in kitchen design. 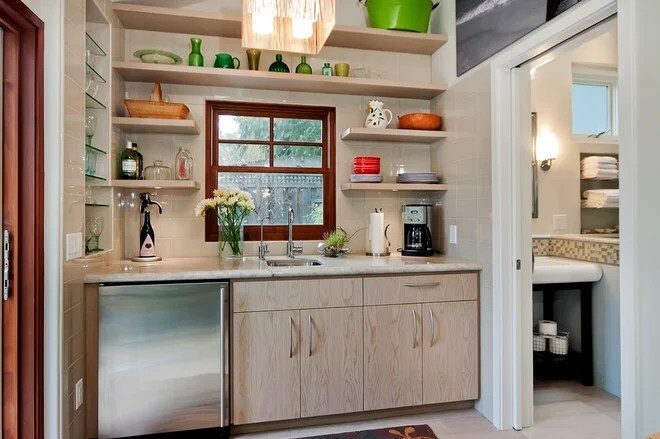 But having too many upper cabinets in a small kitchen can make the space feel confined. Consider replacing those blank boxes with something more unexpected, such as open shelving or a bank of windows. This change can transform a dark kitchen into your favorite room in the house. Eliminating upper cabinets doesn’t have to mean cutting back on storage, however. Open shelving can be used to conveniently store those items that are used most, while also giving the room more visual depth. 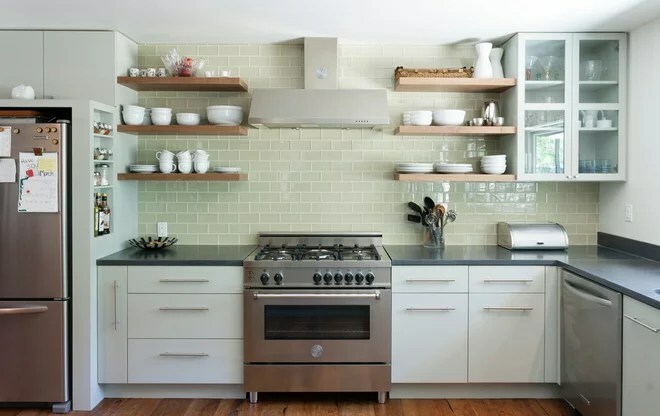 In this example the tile backsplash continues behind the shelves, up to the ceiling. This simple move provides a dramatic focal point and makes the room feel taller too.